The Inline Solar system combines with Monier’s Cambridge Concrete range in ‘Soho Night’ at this Brisbane house. 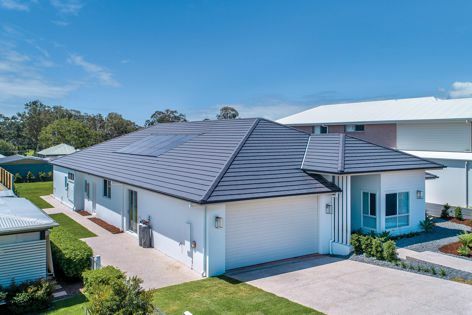 Monier’s Inline Solar is a solar roofing system designed to allow solar panels to integrate seamlessly and sit flush within a roof, compared to traditional bolt-on solar panels that sit on top of roofs. This ensures a house’s street appeal is not compromised.